At last year’s CES, Alexa’s presence was mostly limited to voice-controlled speakers. This year, that changed a lot, with the digital assistant finding its way into everything, from mirrors and smart locks to showers and toilets. Yes, you heard that last one right – you can now use voice commands to flush the toilet after doing your business. To put it simply, you can now make Alexa an inescapable fixture in your home like never before. 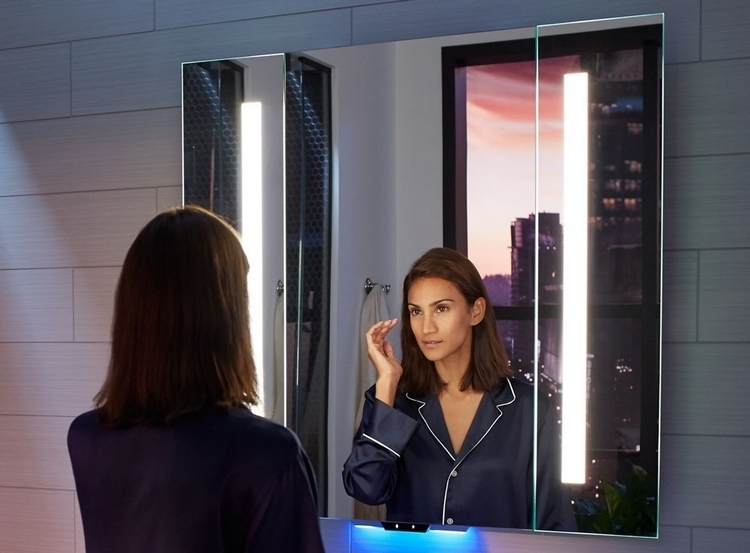 Kohler’s new three-sided bathroom mirror comes fitted with a speaker, a mic array, and computing tech running Amazon’s Alexa, allowing you to listen to news, receive messages, and even jam to your favorite playlists while doing your morning routines, whether that be shaving the growth on your face or putting on your makeup in the morning. The integrated lighting is entirely voice-controlled, so you can adjust the lights with a single command, while a motion detector can automatically switch the lights on as soon as you walk in front of the mirror. Ever wanted to start heating the shower without having to get off the bed just yet? Do you want to change the shower temperature on the fly without having to lift a finger? How about checking your messages while you scrub yourself from head to toe? U by Moen, an Alexa-powered shower lets you do all that and more, making the relaxing activity even more convenient, while allowing you to multi-task in the middle of a shower. A single control panel that installs on the bathroom can control up to four shower outlets, all while showing pertinent information (shower temperature, time, and more) on an integrated display. You can use voice control, as well as physical buttons, to control not just temperature, but to activate specific outlets, adjust shower angles, and trigger specific presets. When you’re away from the shower, you can control it using any Alexa device, as well as from a companion app, in case you prefer tapping on screens to issuing voice commands. If you set the shower temperature remotely, by the way, the same app will issue an alert as soon as it is ready. 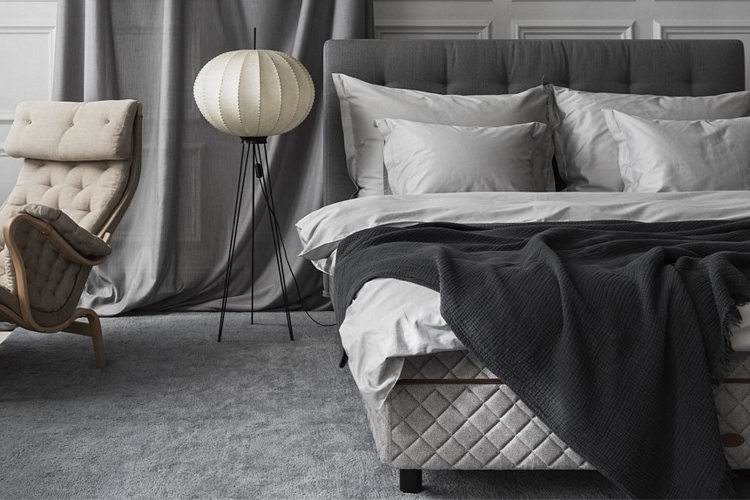 Luxury Swedish outfit DUX revealed a new bed with Alexa onboard, essentially integrating a speaker into the bed frame, so you can control your entire smart home from the bedroom without a speaker in sight. No, the bed itself doesn’t have smart features (it sleeps you flat like all traditional beds), but those in the market for a luxury bed might want to consider this, in case you want your bedroom’s Alexa speaker to be just a little more discreet. We were already impressed with the Kohler Numi back when it first came out. Its second generation brings more of the same wild feature set, enabling hands-free control, personalized cleansing, and exceptional water efficiency. In addition to the automatic seat cover, automatic flush, heated comfort elements, adjustable warm-water bidet, deodorizer, air drier, and integrated speaker found in the original, the second-generation toilet sports dynamic ambient lighting, UV sanitization, and Alexa integration, with the latter giving you full access to Amazon’s digital assistant the whole time you’re… uhm… taking a dump. That way, you can check on your messages, book an Uber, and get a whole load of other things done while you engage in your dirty deeds. One of the fanciest things at CES this year, this rollable TV can roll up and hide away in its base when not in use, all while gracefully unrolling and rising up into viewing position when you want to use it. And, yes, it really rolls into a bundle, since there’s absolutely no way it can fit into the base without doing that, so it’s not just a clever trick. 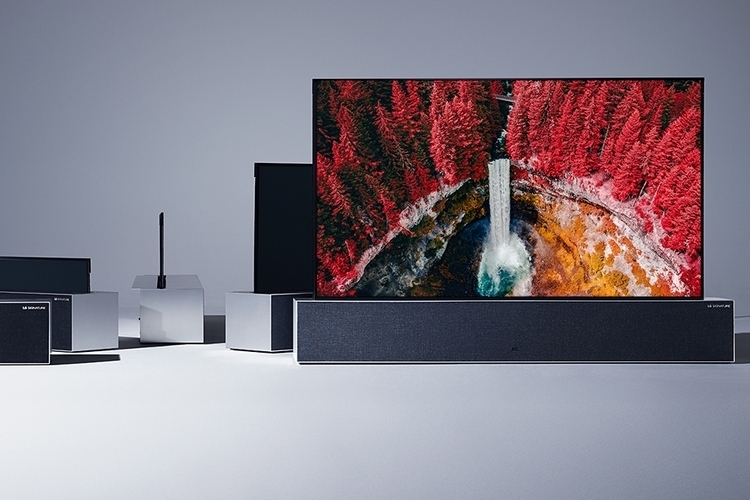 While LG has had Google Assistant integration for a while, the TV will be their first to come with Alexa onboard, allowing you to bring up Amazon’s smart assistant by simply clicking the Prime button on the included remote. From there, you just speak to Alexa the same way you do on every compatible device, searching for shows, changing channels, and replaying your favorite YouTube clip over and over. 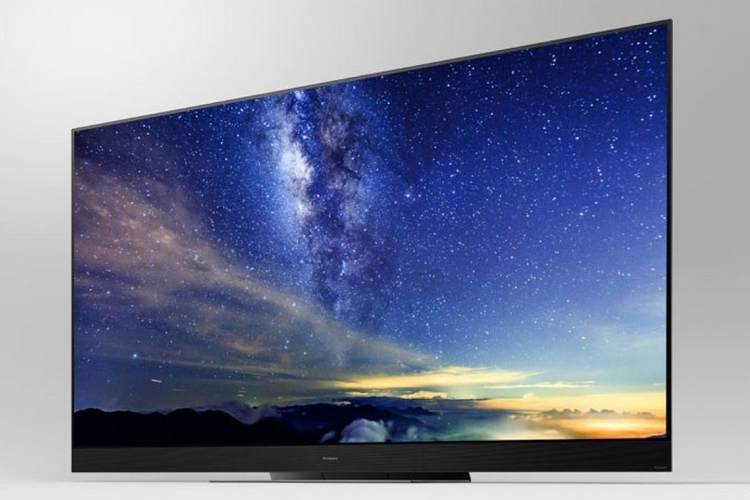 Panasonic is calling their upcoming panel “the world’s most cinematic TV,” bosting a 4K OLED panel, HDR10+ support, Dolby Vision HDR, and upward-firing speakers that deliver Dolby Atmos immersive sound. Yes, it will have both Alexa and Google Assistant onboard, so you can talk to it like it’s an animate being that will carry out all your desires. Well, your desired viewing playlist, at least. A few smart displays debuted at this year’s CES with Alexa onboard, allowing the digital assistant to interact with you not just with voice responses, but visual cues as well. Joining Amazon’s Echo Show and Echo Spot in the category are two devices from Archos and another two from Lenovo. Archos’ budget-priced devices consist of the Mate 5 ($129) and the Mate 7 ($149), with the former combining a round body with a rectangular 5-inch screen and the latter tacking on a speaker to the side of what’s essentially a tablet. 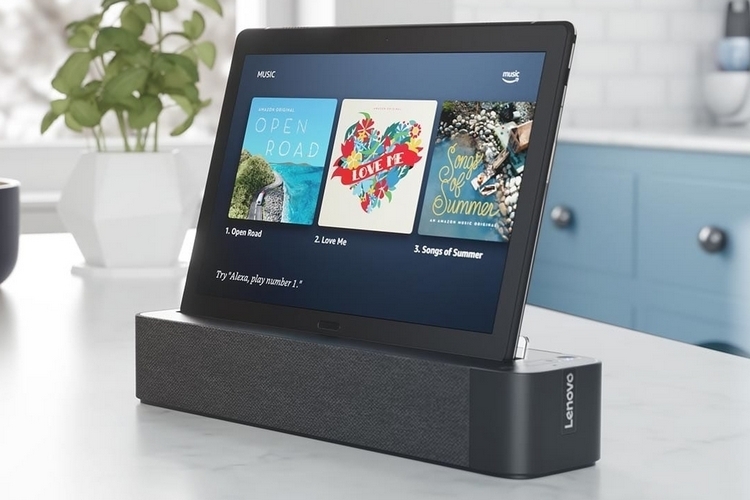 Lenovo’s displays are, basically, 10-inch Android tablets that you can dock to an Alexa speaker, giving the latter a functional screen. Each one comes with different tablet specs, so you can opt to go the budget route ($199.99) or splurge a little bit ($299.99). 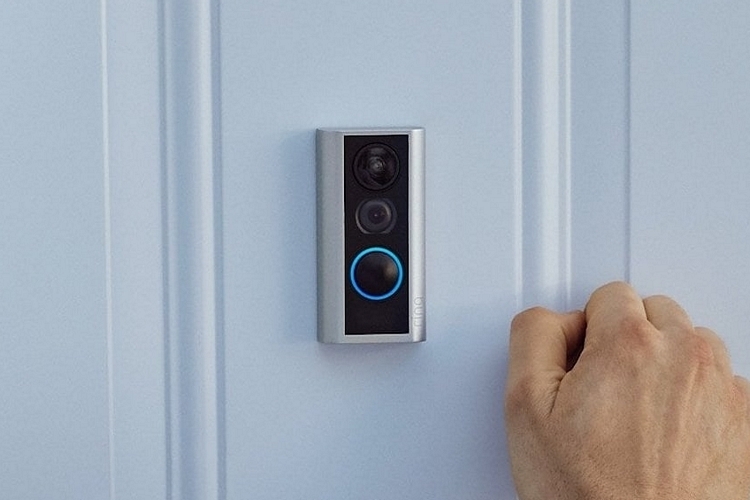 Having been acquired by Amazon, Ring naturally came to the show with all-out Alexa integration, adding four new smart sensors (smoke, flood, listener, and siren), Z-wave smart locks, smart lighting (floodlight, spotlight, path light, and step light), lighting controller (Ring Transformer), and the Door View Cam. Yes, all of those work with Alexa out of the box, so you get plenty of new options for your smart home if you’re among those that are invested in Amazon’s ecosystem. 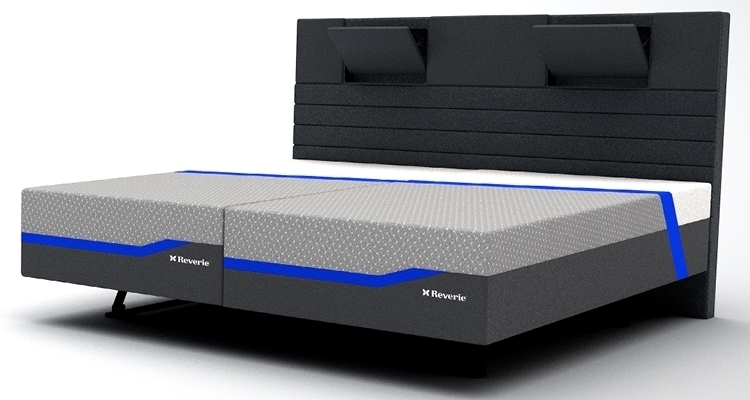 Reverie already makes some of the most technologically-advanced beds in the market, with an electronically-adjustable base that can adjust the bed in any position, so you never have to be forced to sleep in a flat posture ever again. Well, that bed now works with Alexa, allowing you to adjust the bed’s position using simple voice commands. Even better, the bed now has a “lift-awake” feature that immediately positions it upright to wake you up, giving you an alternative to the ringing sounds of traditional alarms. 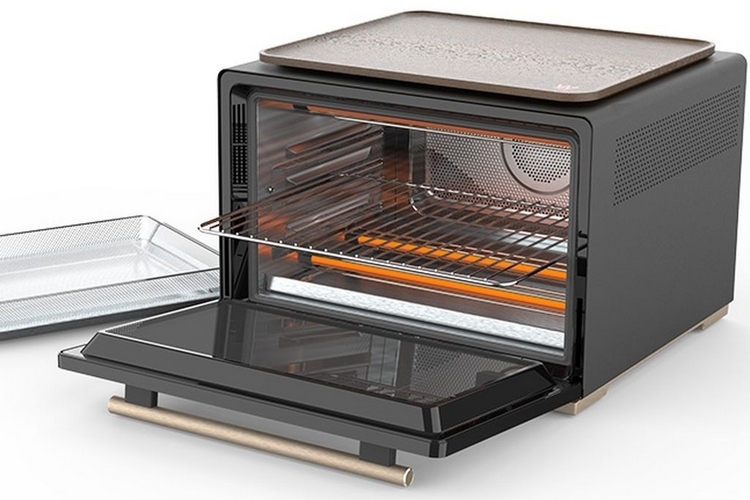 Like other smart ovens out there, this appliance can identify the food you put inside its chamber using cameras and various sensors inside, then set the necessary cooking time and temperature automatically, whether you’re roasting chicken, baking lasagna, or just thawing out some pork you want to cook for later. You can, of course, override the settings, either directly through the oven, the companion app, or any Alexa device using voice commands. You can even have it show you what’s cooking in real time (using the interior cam) to your screen-equipped Alexa device. 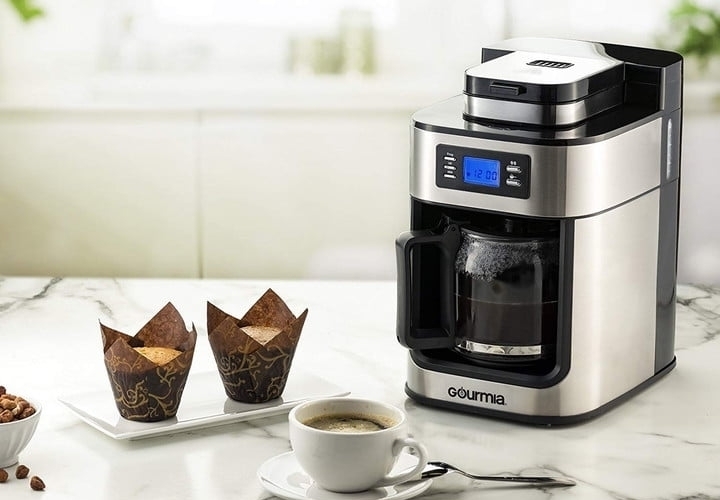 Gourmia introduced three kitchen appliances that are compatible with Alexa, namely an air fryer (which also happens to be a dehydrator and a rotisserie), a slow-cooker (11-in-One Deluxe Multicooker), and a coffeemaker (10-Cup Coffee Maker and Grinder). All three can have their settings adjusted via voice commands to an Alexa device, allowing you to start the frying, begin the slow-cooking, and start brewing coffee without having to be anywhere near the kitchen. This smart deadbolt can be locked and unlocked using Alexa, making it easy to let people in even remotely, along with support for Amazon Key to give delivery people access to your home, so they can leave your packages safely inside. Do note, it doesn’t come with a camera, so you’ll have to pair it with an Amazon Cloud Cam (or something similar) if you want to monitor package deliveries over a live feed. 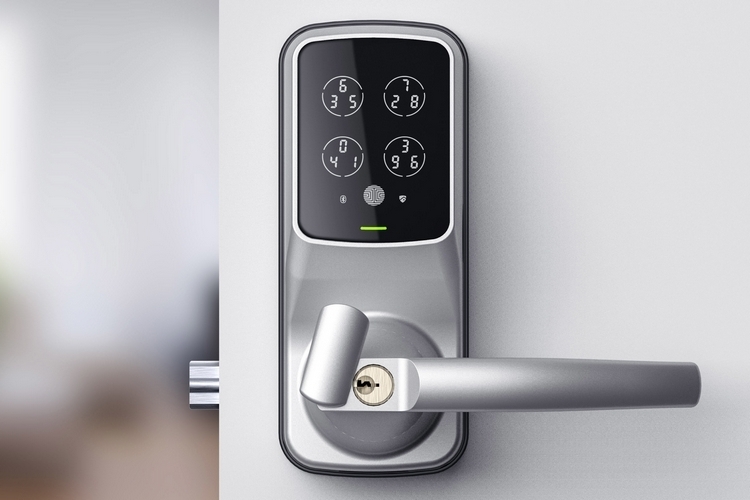 Lockly’s latest lock also allows locking and unlocking using Alexa voice commands. 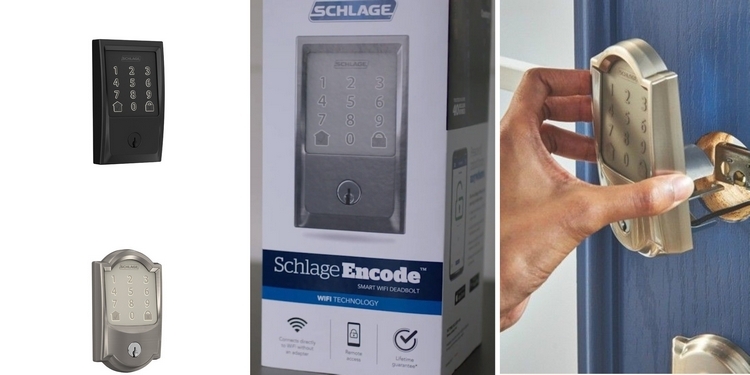 What it makes it special, however, is the integration of four other ways of engaging and disengaging the lock, which you can do via a physical key, a fingerprint scanner, the companion app, or an integrated keypad. The keypad is particularly unique, by the way, as you don’t just enter a simple number code. Instead, it generates random numbers in random orders every time you enter your passcode, with each input in the code requiring three keypresses, making it difficult for anyone (even those watching directly) to discern your particular code. We imagine there will be a slight learning curve to this, but it could be a great solution if you’re wary about people sharing your door’s entry code. This video doorbell comes with dual cameras, giving you a top and bottom view of visitors, ensuring you can see whoever’s outside from head-to-toe, so you know exactly what they’ve got on their person. Of course, it’s compatible with Amazon’s intelligent assistant, so you can control the live feed, along with other settings, using any Alexa device. 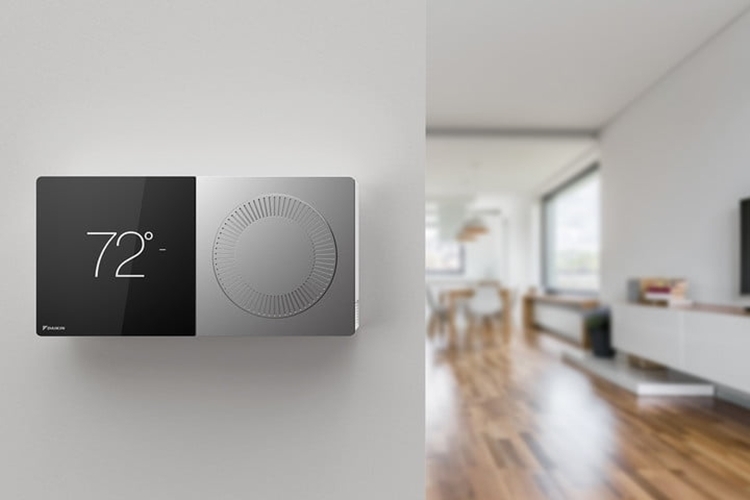 This smart home thermostat, which can also double as a controller for the outfit’s smart inverter HVAC systems, can now be controlled entirely via Alexa voice commands, finally making the tech available to Daikin’s many commercial and industrial clients. 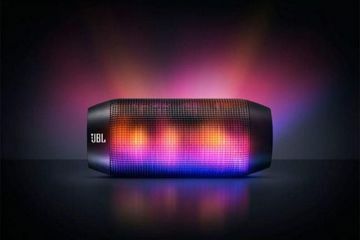 Yes, people in the office will finally be talking to their speakers, too, so things are about to get weirder. 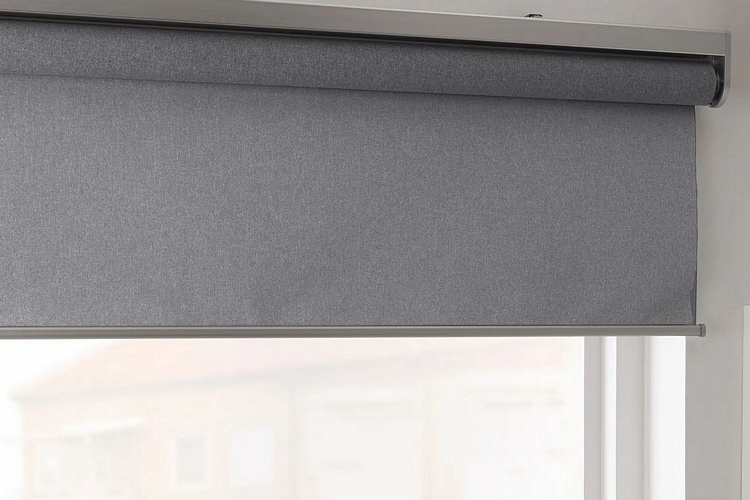 Yes, IKEA was at CES, showing off a set of blinds that you can deploy and roll up using Alexa voice commands. Hey, if you love everything IKEA, might as well opt for this one instead of the dozen or so other options out there. The Reverie Voice-Activated bed sounds interesting but I am a bit concerned because my husband sometimes talks when he’s sleeping. I wouldn’t want him to activate Alexa and change the bed position while we were sleeping. I would be more concerned with my kids having Alexa change my bed position while I was taking a nap thinking it would be funny. On a serious note though, I do think a bed changing position from my voice would really nice to have. When I am sick or have a migraine I could change the bed position without calling for help. n Japan “smart toilets” are pretty common. None of them have Alexa integration that I know of, but some of them have some nifty features. The Toto Washlet S350e is popular in Japan and can even be bought here in the USA. The Washlet S350e is best explained as a multi-feature bidet. 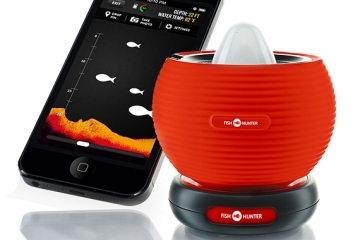 You can choose the water temperature, the power of the water spray, and vary it up. For example, you may want to be just lightly misted in the front with warm water and have a more powerful blast towards the rear with cooler water. The air is automatically purified to help keep the stinky aroma away. 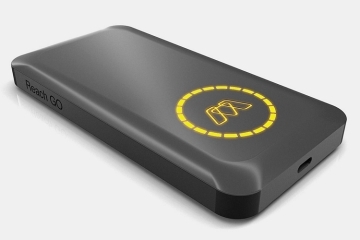 It has a heated seat and the lid can automatically open and close. There are many other features to this smart toilet. 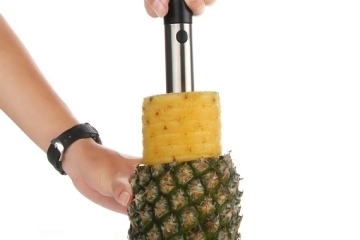 They are selling them in the United States, but I have yet to see one in person. It’s just a matter of time until we begin buying them more often and start to catch up to the Japanese. The Whirlpool Smart Countertop Oven fascinates me, but I am concerned with the build quality of it. The old Whirlpool washers and dryers could last decades, but the new ones are complete junk. I would consider buying a smart countertop oven but won’t because Whirlpool has such a bad reputation now. Fun Fact- The Whirlpool Corporation helped develop and design the food and waste management system for Project Gemini. NASA trusted them to help out with the 2nd human spaceflight ever, yet today a lot of people won’t trust them to wash their clothes. The quality of the machines has gone down. The Whirlpool washing machines, as well as their other brand Maytag, are not as durable as they used to be. I have a Whirlpool washer I bought in 1980, and I still use it. The ones bought today will not last near as long. It’s not all Whirlpools fault though. Consumers want cheap washers and dryers so Whirpool cuts corners to meet customer pricing expectations. I would rather spend a lot more money and get a machine that will have a much longer lifespan. I wonder if the Whirlpool Smart Oven is smart enough to cook complicated foods such as Turducken? An interior cam inside the oven is pretty neat. I wonder how they built it so the camera doesn’t melt. Can I live stream to Youtube whenever I’m cooking something? Most YouTubers that create cooking videos that show stuff inside the oven will either leave the oven door open as they shoot video, or they will do a timelapse. The time-lapse shows the meal being cooked from the time it is placed in the oven to when it is taken out, but the actual shots are done in smaller increments with the oven door being shut when not shooting. This method makes it look like you see the entire cooking process is performed, but actually, you don’t. I really don’t care to see the inside of an oven, but I do like the overhead video shots that show the ingredients being prepped and added. I haven’t tried out Alexa yet, but I’m increasingly impressed by its capabilities. U by Moen is a dream! I’d love to be able to start the shower and have it nice warm before I hopped in – especially in the winter time. 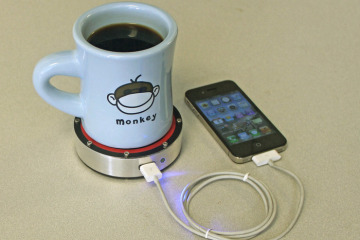 I wonder how devices like these are going to effect home sales in the future. I would like to use the U by Moen just so I could change the music I’m listening to in the shower. I actually wondered that too! We just bought our home last year and I would love to make some of these upgrades, but it’s our first home so I only expect us to live there at most 5-10 years. I worry any smart home feature in our home would turn off an older prospective buyer. Even though I think it’s cool, I don’t want to intimate the next owner. 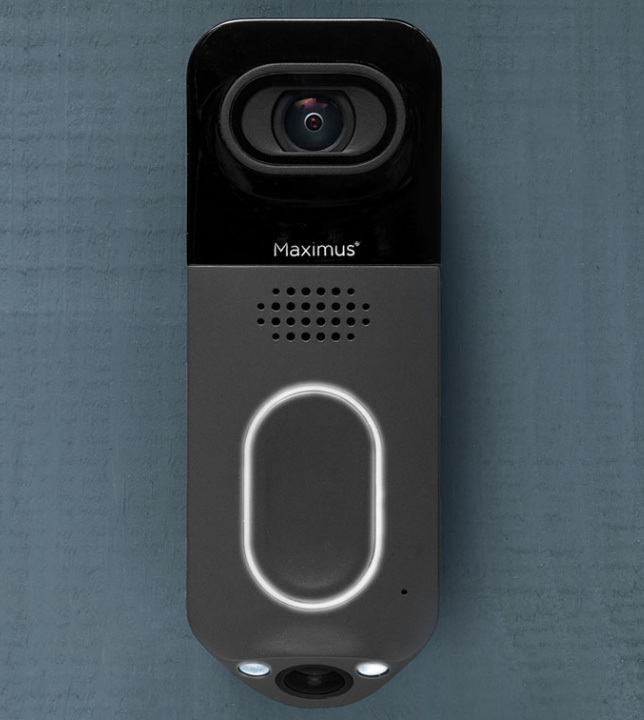 The Maximus DualCam Video Doorbell should help to deter “porch pirates” who are stealing delivered packages off of doorsteps. The Maximus DualCam Video Doorbell could have potentially saved Jayme Closs from getting kidnapped and her parents fro being murdered. I’m interested in the Maximum DualCam Video Doorbell for that exact reason. We have a real problem with porch pirates here. It’s so stupid because people here will even steal your Christmas dectoration and gardening pots fence or not. The Kohler Verdera Voice Lighted Mirror would be helpful is Alexa could remind my kids to flush the toilet and wash their hands. I normally use my iPhone when I’m getting ready in the morning, but with this smart mirror, I could just leave my phone plugged in until I leave for work to ensure I usually start my day off with my phone at 100% charged. It would also allow you to listen to soothing music when you take a nice on bubble bath. Kohler is often seen as a higher-end brand, but when we needed a new faucet for our kitchen sink, we got a Kohler. At Lowes, the Kohler products are actually cheaper than some of the other brands. We’ve had no problems with it and I expect it to work flawlessly for many years to come. If the quality of the Kohler smart mirrors is the same as their faucets, then this will be a great value. The lights turning on automatically would be nice when you have to get up in middle of the night to go potty when you are still half asleep. As over the top as the DUX seems on face value, I actually really enjoy the concept just as long as I can use any bed frame. I like the idea of being able to check into my cameras, nest thermostat and locks before bed. It would also be nice when I’m in bed and “I’m like did we lock the door?” but my phone is across the room. I’ll be looking for the DUX when it’s available. There’s nothing worse then when you get all comfortable in bed and then start wondering if you locked the front door or turned off the coffee pot. I haven’t hopped onto the Alexa train yet and have been eyeing smart home products for awhile. I see you Ring, and would certainly give you a go. Some of it seems a little more than I need like the locks – I’d be terrified that someone would get a hold of my phone somehow but to be able to view my cameras from anywhere is really sweet. Normally I’d say the Whirlpool Smart Countertop Oven is a little over the top but I actually enjoy it. It would be perfect to leave my toast in the morning. I could set it to toast without even walking downstairs. Or if I have dinner in the freezer, I can ask my husband to put it in and I can set it for us. It would be very nice. When Alexa was first released by Amazon I thought it was an interesting technology. Now that product developers are implementing Alexa into various products, I am thoroughly impressed. If I was a smarter man I would like to create a wheelchair with Alexa integration. This is what Amazon should do. They could corner the wheelchair market if they came out with a high quality low-cost AmazonBasic wheelchair with Alexa integration that could be customized depending upon the individuals’ particular disability. Amazon seems to get a lot of hate, but if they create products such as wheelchairs and sold them at a lower cost than traditional wheelchairs, it would help to create a lot of goodwill among some segments of people. A few years ago I could have really used the Kohler Numi. My dominant right arm was in a cast from breaking a bone and my left arm was in a sling and unusable because of a broken elbow. I struggled to get the water faucet to just the right heat using my feet. I lived alone, and I had to get creative to do simple tasks. A smart tub would have really helped me out where I could have just adjusted things with my voice. It was during this time of my life when I had to take a bath after going poo because I had no way of wiping myself clean. I bought a smart toilet and still use it even though I now have both arms back to normal again. I feel cleaner and will never go back to a regular toilet. An automatic bidet with warm water is the only way to go. I despise using toilets when I leave home now. The toilets are fine, but I hate the traditional wiping and smearing that we Americans do with toilet paper. Once you have used a bidet for a few days, you will never want to go back. We use a bidet at our house. It is not a smart bidet, but it was a cheap one we bought off of Amazon on a whim. Our entire family including the kids now prefer to use the bathroom with the bidet. We still wipe with toilet paper, but only after we get squirted with the bidet. I have never felt cleaner after using the bathroom. Our second bathroom will have a bidet added soon but we are looking at our options. 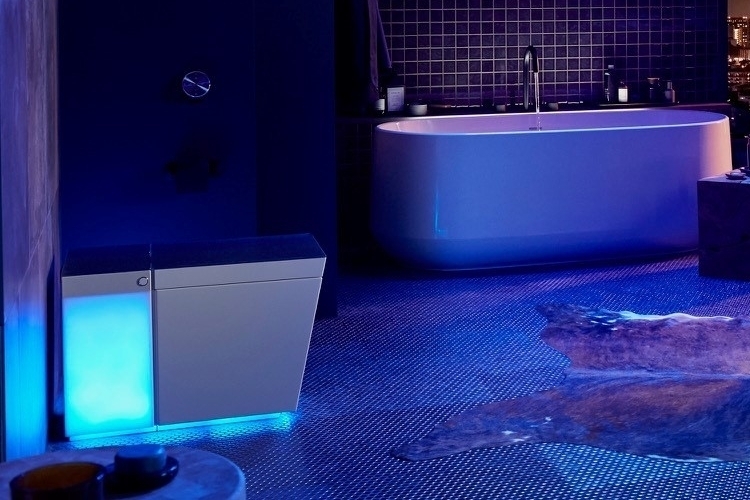 We know for a fact we want to be able to have warm water, but these smart bidets with all of the options of where and how it sprays you look appealing. My suggestion is to start off with a bidet off of Amazon, and if you don’t like it you can send it back. Initially, it may feel weird, but rapidly you should come to love it as our family did. Hands down I love U by Moen. It would be so convenient for my daily morning routine to be able to set my shower. The fact that I can set it to a specific temperature every single time is amazing. I can use the U by Moen to track shower times. Some parents have the problem of their kids never wanting to shower or bathe, but I got the opposite problem. Even my 4 year old wants to take a long shower…multiple times per day. Our kids probably got their showering habits from us, but the U by Moen will give us actual data to how many showers are being taken. We are not scrimping on money, but I would rather save some money on excess showers and use it in an investment or towards a family vacation. The U by Moen would be something that would be hard to live without once you got used to using one. The Kohler Numi had me at heated seat and sanitation! I would actually get one of these, I know my husband would be very impressed with the heated seat option. The U by Moen has a lot going for it. It is really handy that you can choose how you want to use it. Do you want to use voice commands and integrate it with Alexa, or would you rather use an app? Non-tech people can also enjoy the ease of using this by the control panel. Moen allows you to save water by pausing your shower if needed. The U by Moen also has a water savings mode you can turn on, but you are not forced to use this feature if you don’t want to. I checked their website because your comment caught my interest. The max temperature is 149 degrees for it to work with your system. I guess that makes sense because the Y by Moen doesn’t heat the water per se, your water heater does that. My water heater is set at a maximum of 100 degrees, which is more than enough for me. Why do some people insist on having their wate rheater go so high in heating temperature? With my setup, I can’t accidentally burn myself. I didn’t think the actual temperature of my water heater mattered like that. I could have totally misunderstood but isn’t it mostly for how long / how quickly the hot water would be replenished if you used it all? It’s my first house so I could totally have bad info here’s I’m also wondering how U by Moen would know what your hot water tank is set to and how to make that happen. I would actually love to read more on the dehydrator that Gourmia put out. I use our dehydrator all the time now to make treats for our guinea pigs. It would be nice to set it or turn it off while I’m away. Oh wow! That’s interesting that you do that. I was thinking about making treats for my daughter’s dog, but has always been intimidated by it since I’ve never tried before. All store bought treats regardless of species has all this added junk they shouldn’t be eating. Maybe a smart one would make it easier for first timers like me. Dehydrators are pretty easy to use. I have made a lot of jerky and dried fruit over the years. I never thought about making dog treats before with it. I’m going to have to look up some dog treat dehydrator recipes now. I can’t say that I spend a lot of time in front of the mirror in the morning, but I have felt the panic of what time is it and has my office texted me? The Kohler Verdera Voice Lighted Mirror seems like it would ease my worries easily. I can also see my daughter use it. She’s a teenager and it would probably be the most awesome thing ever. I’ve been following smart home devices for a few months now and they’re just amazing. I would love to start incorporating them into my home, but I admit I’m a little overwhelmed. How do they all work together? Or do they not and I just have a bunch of apps on my phone? I guess I wouldn’t mind that but it would be really hard teaching my husband and the pet sitter how to use them. We have Alexa hooked up to our house lights. When we say goodnight Alexa, she will turn on the exterior lights. In the morning when I say “Good morning Alexa”, she will turn off the porch lights. Other than that we don’t have her hooked up to anything else. Alexa still gets used a lot. The kids will ask her to sing songs or tell a story. My wife orders stuff off of Amazon simply by telling Alexa to add it to the shopping list. I primarily use Alexa for music and to ask what the weather is going to do. We’ve gotten our money worth from Alexa. I am not sure how to hook Alexa up to all these extra things, but Alexa by herself is really easy to use. You just say “Hey Alexa” to wake her up and then tell her to do something or ask her something. While doing dishes you can ask her who won the World Series in 1975, have her play popular music from 1975, and countless other things. For the most part, there is not a learning curve with Alexa, you simply talk to her. Alexa is very smart. I can see a lot of helpful and entertaining ways that Alexa can help, but not in a bathroom mirror. A phone is portable and you always have it with you, so what is the benefit of having a bathroom mirror that can talk to you? I can definitely see a positive benefit to using the U by Moen Alexa shower setup though! I read through the installation directions on the manufacturer’s website. I deduced that I am not handy enough or smart enough to install it myself. I would have to pay a plumber to come do it. I might be able to install it myself, but I don’t want to take the chance of breaking something and causing a flood. I wouldn’t mind an Alexa in my bathroom, whether it be the Alexa mirror or a stand-alone Alexa. Instead of yelling at my wife when I was in the shower to see what the weather is, I can just ask Alexa. I can have Alexa play a song when I am brushing my teeth, and then when the song is done I know that I have brushed for long enough. If I notice I am low on toilet paper I can just ask Alexa to add it to my shopping list. If you get an Alexa for your bathroom, just keep in mind that they are not waterproof, so keep it away from your tub. I have an Alexa in my bathroom and use it primarily to listen to audiobooks and podcasts while I take baths. I also ask Alexa to add appointments I have coming up that day when I am getting ready in the morning. We also have an Alexa in the Kitchen and one in our bedroom, but I use the one in the bathroom more than the other 2 combined. I wonder if humidity would damage the Alexa unit? SO do you have 3 Alexas, or like 1 Alexa and 2 Alexa Dots? We have 3 Alexas. 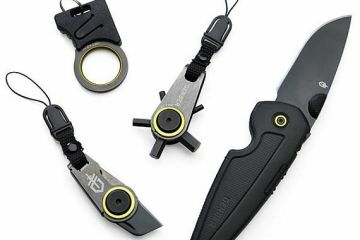 We ought one for Christmas, and then were gifted 2 more lol. We decided just to keep them all. We could use a Dot in the basement too, but I think we are fine with 3 of them. So far we have not experienced any problems with humidity, and I am always steaming up the bathroom. Never thought about that potential problem, so I’ll keep an eye on it.